Northbrook, IL—Prime Publishing, LLC’s most recent cookbook release, Festive Holiday Recipes: 103 Must-Make Dishes for Thanksgiving, Christmas, and New Year’s Eve Everyone Will Love, made the list of IndieBound’s 25 best-selling holiday cooking and entertaining cookbooks for 2018. The list showcases what’s selling in indie bookstores nationwide and covered an eight-week period, ending on December 2, 2018. Other cookbooks on the list included Joanna Gaines’s Magnolia Table, Taste of Home’s Christmas cookbook, Thug Kitchen, and more. Festive Holiday Recipes is the eleventh book in the 103 cookbook series, published in partnership with St. Martin’s Griffin. Other titles include Cake!, Retro Recipes from the ’50s and ’60s, Easy Cookie Recipes, and more. Festive Holiday Recipes and Cake! were both published in October 2018. 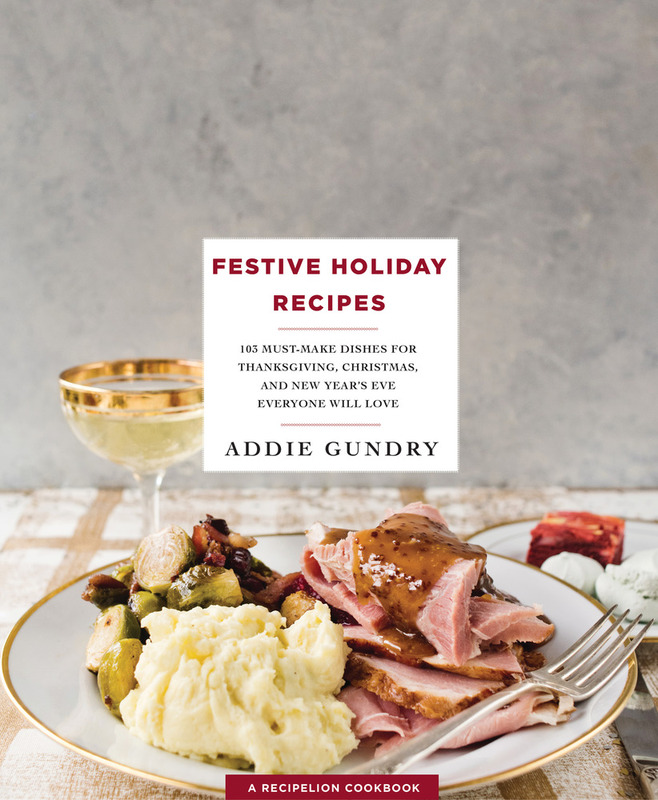 The author of the cookbooks is Chef Addie Gundry. She earned her Master’s Degree in Culinary Arts from Auguste Escoffier in France, won Food Network’s Cutthroat Kitchen in 2015 and has also appeared on Food Network Star. Chef Addie has also worked with big names in food and cooking, such as Christian Etienne, Daniel Boulud, Thomas Keller, and Martha Stewart and is now bringing that expertise to aspiring chefs. Gundry is currently the face of the RecipeLion Cooking Club, launched in December 2018, where she teaches aspiring cooks her tried-and-true cooking secrets in a series of video classes and downloadable cookbooks. A new cooking class is released each week.